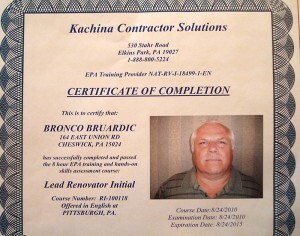 We are a fully certified, full-service residential and commercial contractor. 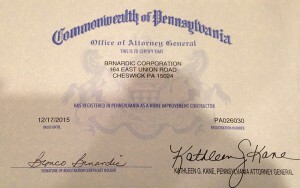 Please review our certifications or feel free to contact us to learn more. 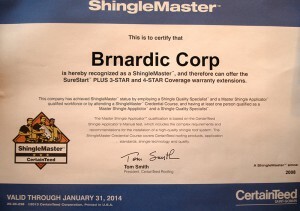 We have been on Angie’s list since December of 2008 and are very proud of our “A” rating. 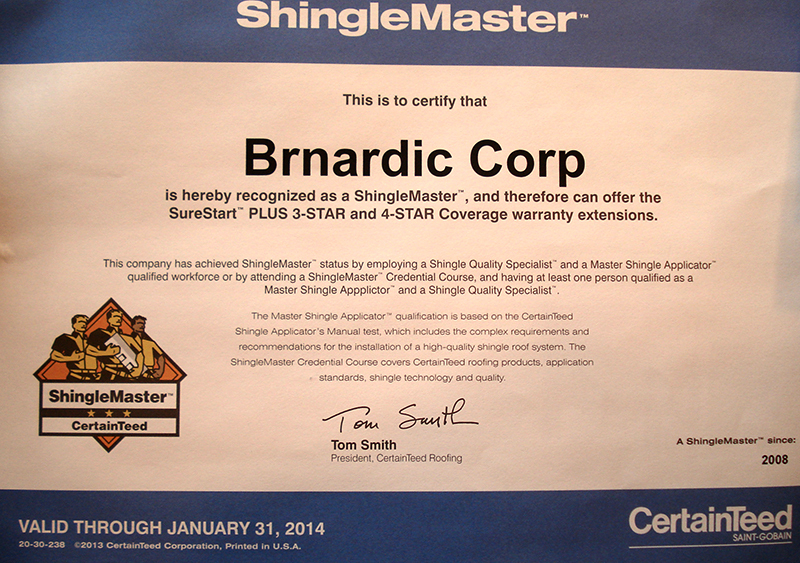 We are a ShingleMaster certified roofing contractor. 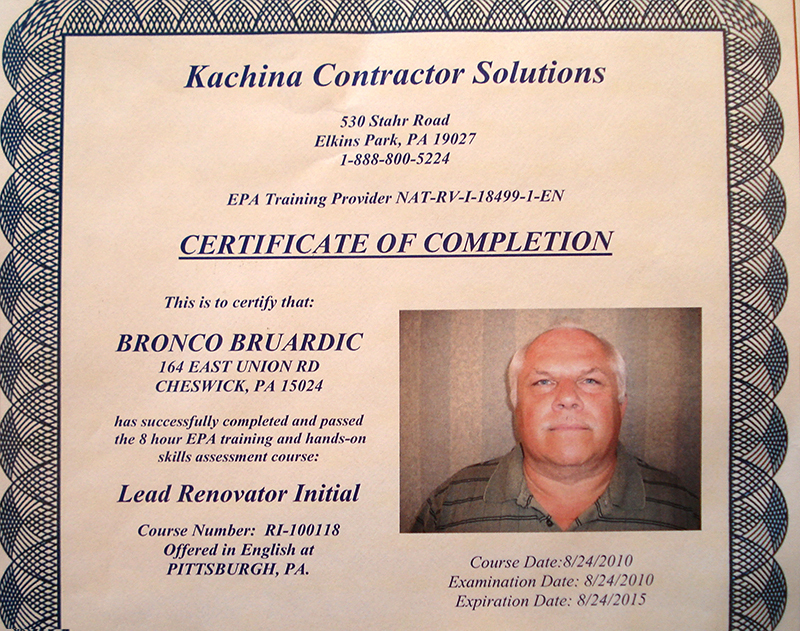 We are certified in lead paint removal, having successfully met the EPA training standards. We are Factory Trained Installers of Endless Pools®. We are occupational build certified by the Pennsylvania Department of Labor & Industry.